Smarten up your look with incredible comfort and pretty style in the SKECHERS Relaxed Fit®: Bikers - Witty Knit shoe. 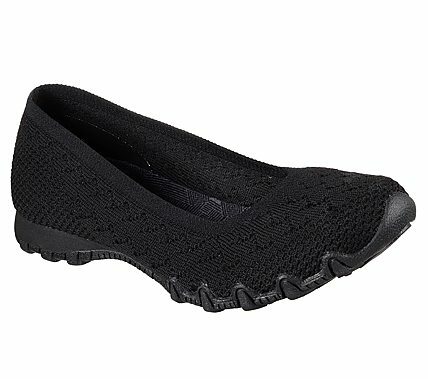 Skech Knit Mesh nearly one piece fabric upper in a slip on dress casual comfort ballet flat skimmer with woven-in design. Air Cooled Memory Foam insole.